Bangray is approaching Earth in search of something, but first he’s hungry. Meanwhile, Micchan is dressed in a yutaka, ready to watch the fireworks show tonight with his friends. The Zyuman4 are intrigued by his strange, but interesting garment. Downtown, Azarudo’s player Cruiser blows up buildings all over the city. But Azarudo, Cubaru and Naria discuss how Ginis has been detached and bored by the game. Bangray is by the creek, enjoying some kabobs until Cruiser’s explosions interrupts his meal. 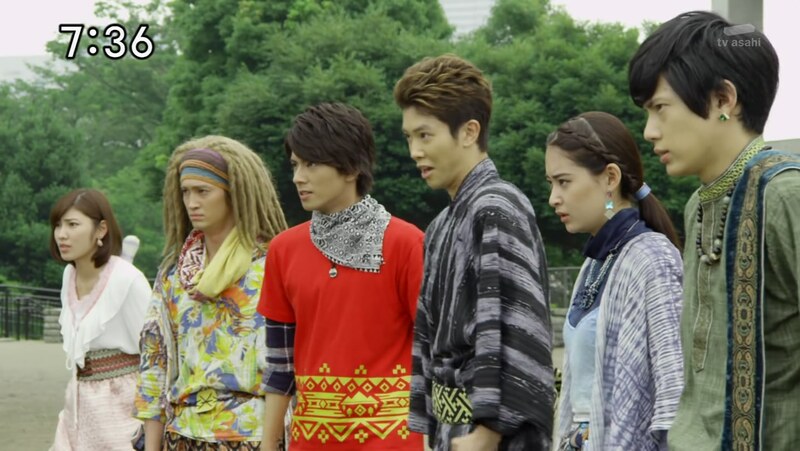 The Zyuohgers find Cruiser and morph, intent on stopping him before the fireworks show. But suddenly, all of them get attacked and hurled into the Toei amphitheater. Bangray approaches them, demanding to know who ruined his lunch. The Zyuohgers and Cruiser have no idea what he’s talking about, but Bangray continues to attack. He introduces himself as a hunter who travels the galaxy in search of giant beasts. He’s no Deathgalien. Since no one wants to admit ruining his lunch, Bangray decides to kill ’em all. Cruiser runs and the Zyuohgers are left to face off against Bangray who can easily take them all on. Bangray touches Leo’s head and suddenly, Noborizon appears even though they killed him already. Bangray laughs and leaves as the Zyuohgers have to fight Noborizon. Micchan is able to take care of Noborizon himself. The Zyuohgers decide to split up to find both Bangray and Cruiser. Up on the ship, Naria has found out more info on Bangray. While Azarudo is annoyed by his existence, Ginis has perked up and is intrigued. 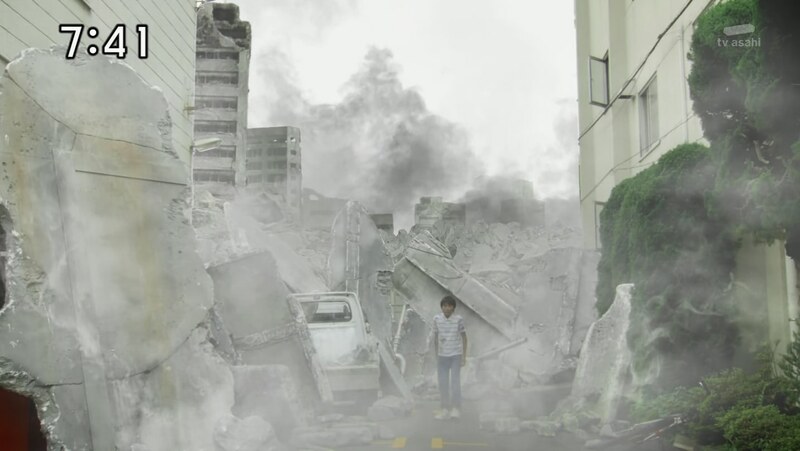 Yamato and Amu find a young boy, Ryo, limping out of the rubble. They see he is hurt and want to bring him to the hospital, but he refuses. If his mom found out, he won’t be able to watch the fireworks with her tonight. She’s all he’s got and she’s always busy. She was able to make time for him only today and he doesn’t want to ruin that by going to some crummy hospital. Amu comforts him and says his mom will understand. They bring Ryo to a clinic. His mom thanks them for taking care of him and she promises to get another day off to spend with him. She thanks him for being open and not keeping this inside like he usually does. Leaving the clinic, Yamato says he is surprised Amu said those things to Ryo. Amu explains that it’s also just her and her mom and they never keep secrets. If you bottle things up, the other person will also suffer, as will you. Amu says she and her mother both rely on others when things get too difficult for them to handle on their own. That’s why she also understands Yamato’s feelings on wanting everyone to live connected. But she senses he is hiding something. Cruiser is trying to resume the game, but Bangray finds him and confronts him about lunch. They fight. 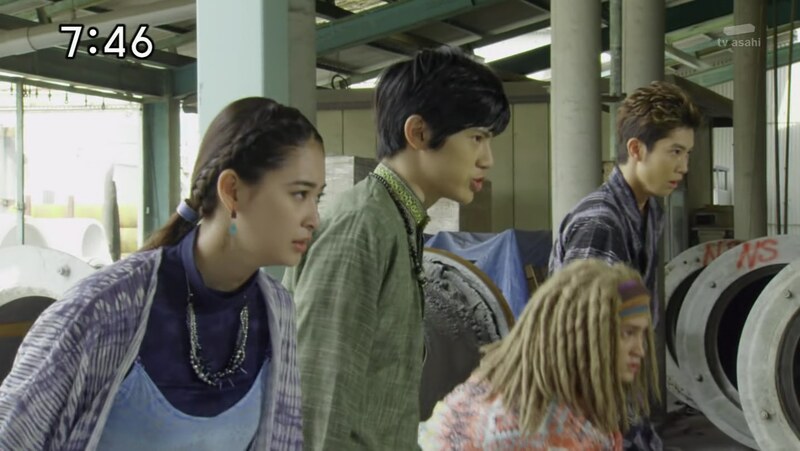 Leo, Sela, Tusk and Misao hurry over. They morph and unsuccessfully try to battle the two before Yamato and Amu finally arrive. The Zyuman4 deal with Cruiser and easily finish him off. Before Naria heads down with a Continue, Ginis has one other request for her. 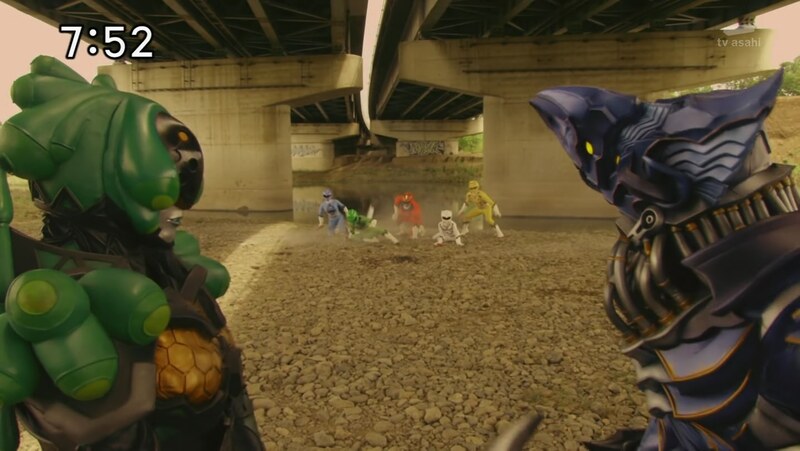 But Yamato and Micchan struggle against Bangray who takes them under the bridge. Bangray sends Micchan flying into a wall and ends up trapping Yamato, even in Gorilla, under his feet. 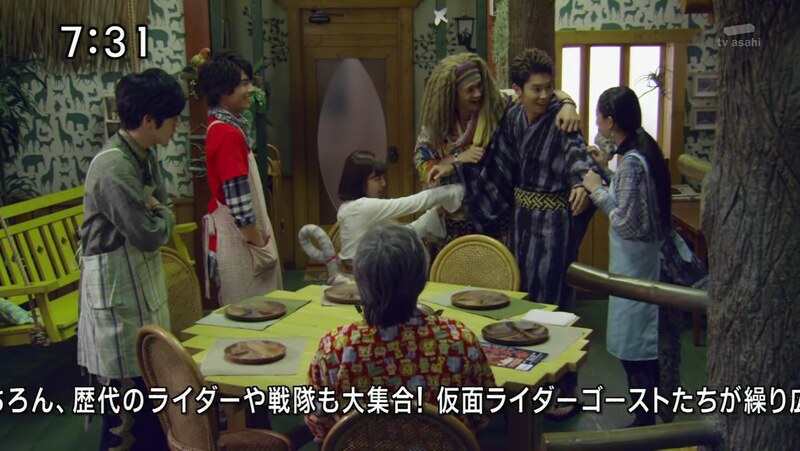 Before Bangray can finish off Yamato for good, Micchan manages to give the others time to arrive. Their battle is interrupted by Cruiser embiggening and continuing to blow buildings up downtown. Misao hops into Tousai Jyuoh to fight Cruiser. Meanwhile, Naria arrives and invites Bangray to join Ginis’ Blood Game. He is intrigued and accompanies her to the Sagitariark. The Zyuohgers decide to help out Micchan and they form Wild Tousai King to take care of Cruiser for good. 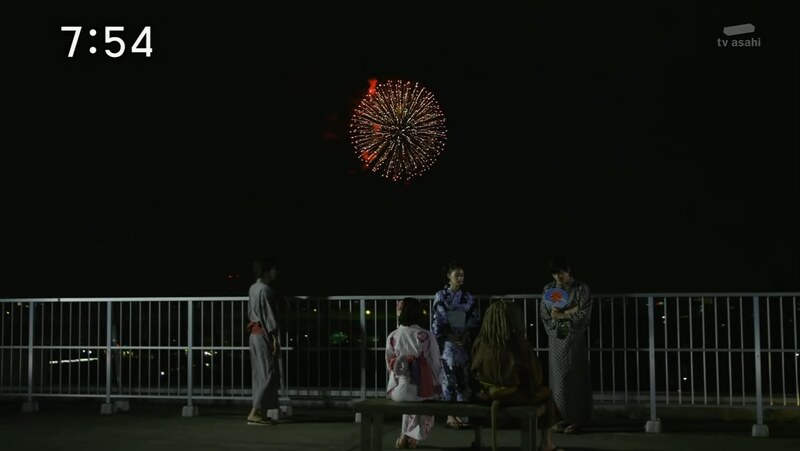 Later that evening, the Zyuohgers take a break from thinking about Bangray and try to enjoy the fireworks. Micchan is depressed and feels too guilty about being the cause of today’s problems to watch the fireworks. Yamato decides to record the fireworks on his phone for Ryo and Micchan. Up on the ship, Ginis welcomes Bangray to the crew. A morphed and mecha-heavy episode. Must have been filmed while they filmed the summer movie. But it was an alright episode. It did seem to be planting the seeds for next week and learning more about Yamato’s parents, which I am definitely looking forward to. Again though, the causality rate on season has been crazy. The boy was the only survivor of the attacked buildings. WTF! This Blood Game really is so morbid when you really think about it. Anyway, it was a pretty standard episode. The next one looks much more exciting. ← Recap: Doubutsu Sentai Zyuohger, Episode 22 – Awakening? Is it Wrong? Please tell me you watched the latest episode, Bunglay is what Mangetsu should of been.